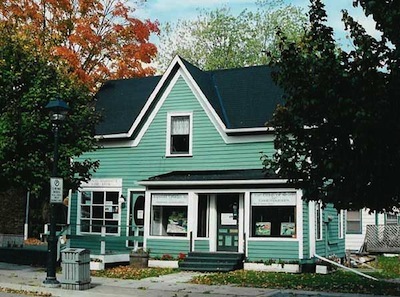 Bronte Harbour Fine Arts has been operating as an art gallery since 1982, located in Bronte Harbour, Oakville, Ontario, Canada, in a building which was built in 1838 as the Bronte Post Office. While the proposed condominium complex "The Shores" is being erected, the Old Post Office awaits the big changes; the building has been relocated around the corner to Ontario Street, facing the lake. We, too are waiting patiently until we can reopen as Bronte Harbour Fine Arts back in our historic venue in Bronte Harbour. 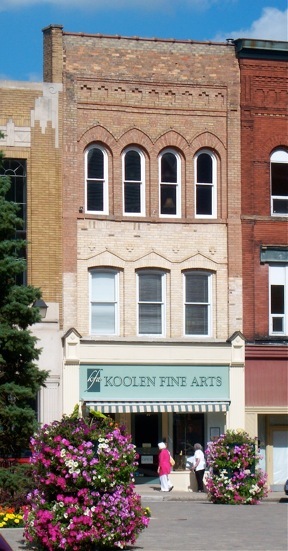 In addition, we have opened a beautiful new gallery in Stratford, Ontario. Located at 53 Downie Street, this 1870 brick building overlooks the steps of City Hall in the Market Square section of the Downtown. We continue to serve our clients with art-related services which include art restoration and art appraisal, art brokering consignment and custom framing. As a private art gallery with a national focus we specialise in Important Historic Canadian and European Fine Art. We house an art restoration laboratory which allows us to offer full art restoration services in the Gallery. Recently we have expanded our laboratory facilities and archival library. Besides having our restorers on premises, we restore works on paper as well as frames. We handle the art of living contemporary Canadian artists as well as managing the art of many artist's estates (including Fred Brigden, Frank Panabaker, Frederick Bell-Smith). We hold an annual Group of Seven exhibition during which we sell original works by the most famous Canadian visionaries. We sell art internationally for clients and their estates who wish to sell their important Canadian, American and European works of art. We act as brokers, finding the best time and market for their paintings in order to realise the best possible price.